I knew I had arrived somewhere special before even setting foot into Malmaison Glasgow. 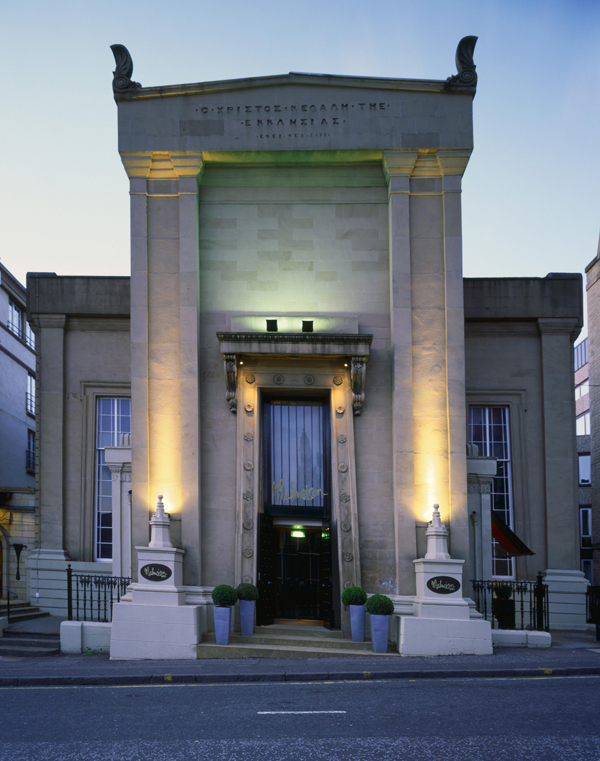 Set inside what was formerly St. Jude’s of Blytheswood Square, a 19th century church, the 72-room hotel still boasts the place of worship’s striking Greco-Egyptian edifice. Located on West George Street, just a few blocks from Glasgow’s teeming shops and museums, the hotel’s grand entrance gives way to an equally impressive, if slightly more subdued, lobby. Perhaps the best way to begin discussing Two Fat Ladies’ The Buttery (or just “The Buttery” as locals call it) is to describe what it is not. First, it was not actually created by two chubby women, and certainly not the hosts of the BBC cooking show “Two Fat Ladies,” which many visitors assume. The name comes from the slang name for the number 88, which was the address of the original Two Fat Ladies restaurant in Glasgow’s West End (88 Dumbarton Road, where it is still located), which is 88 and when scrawled by giving the bottom half a wider circle than the top, looks like to little heads on two chubby bodies. 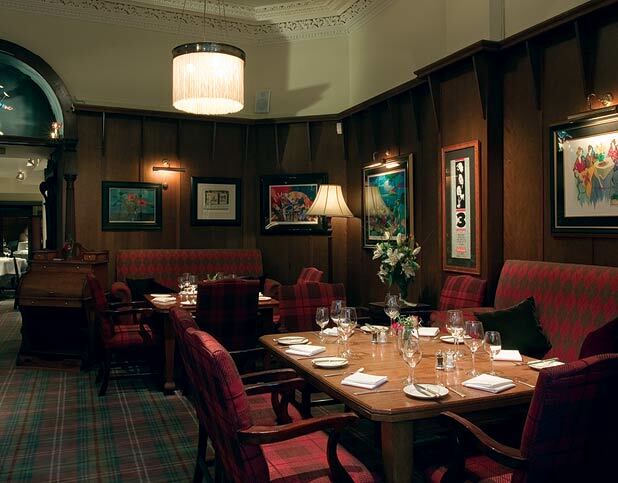 Entering the Hotel du Vin Glasgow is like stepping into an elegant maze. 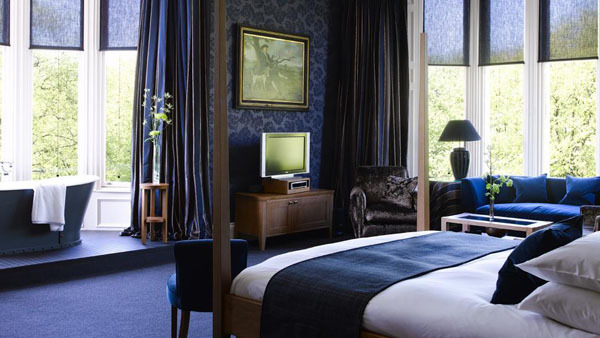 Originally five Victorian town houses that have since been connected and developed into Hotel du Vin’s flagship property, walking through the hotel creates an exciting labyrinthine effect. Moving up and down levels and around corners, one leaves the spacious lobby and enters the Bistro Bar for a cocktail or afternoon tea, or slips into the subtly labeled Whisky Snug down the hall for a sample from one of the hotel’s exclusive single-cask bottles care of the Scotch Malt Whisky Society.